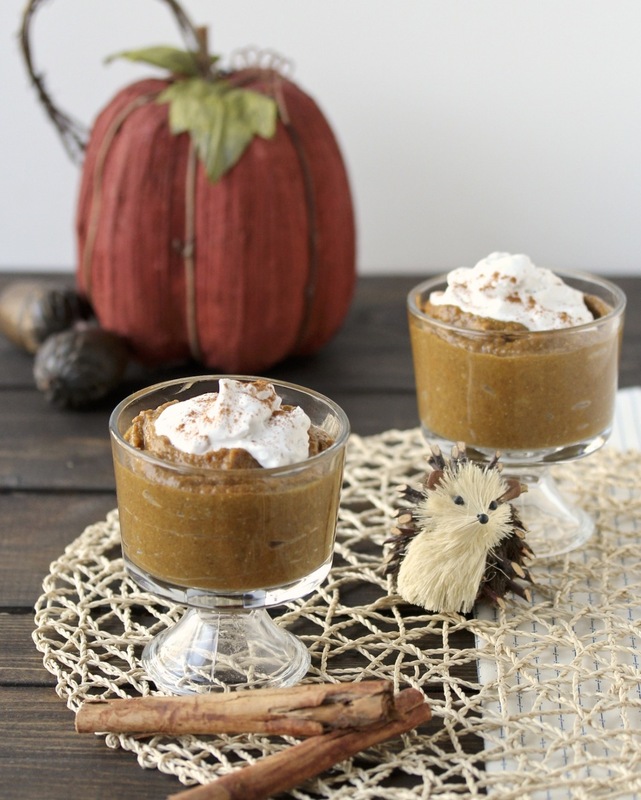 Pumpkin lends itself perfectly to Paleo dessert recipes. Full of nutrients and and a mildly sweet flavor, the sky is the limit when it comes to creating healthy treats. This pudding is made without any egg or gluten-based binders. You can choose to use either chia or avocado to thicken yours, depending on taste or what you have available at the time. Consider your ease of digesting fiber when choosing your thickener. Some people with gut bacteria imbalances have trouble with dense fiber sources like chia. If you do use chia, grinding the seeds will yield a smoother texture (and no chia seeds stuck in your teeth!). Or if you choose to use avocado, I’ve found that the spices and pumpkin flavor very effectively mask any avocado taste and it ends up being a bit creamier. Either way, the resulting pudding is deliciously fall-like, low-glycemic, and full of vitamins and minerals. Scoop into bowls and serve as-is or topped with unsweetened whipped coconut cream. A note on grinding chia seeds: a coffee/spice grinder or high-powered blender work very well to finely grind the seeds. Adding ground seeds will yield a smoother texture to your pudding.